Dar Elinor i Fez, Marokko: Reservér nu! 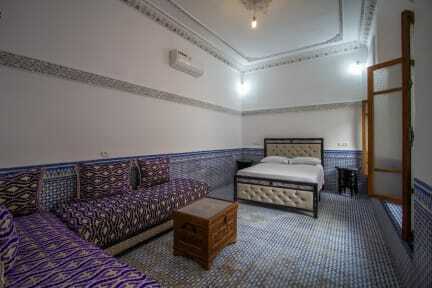 Dar Elinor is a comfortable and friendly property located in Fez. My property is only 7 minute from the centre of the medina Blue Gate. We offer all comfort and amenities for a great stay in the city, Wi-Fi access is available throughout the property and free breakfast is served daily. At Dar Elinor guests will experience true Moroccan dream. 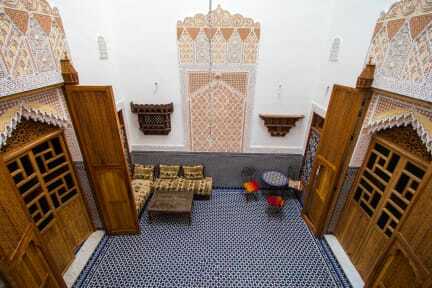 Dar Elinor is ideally located in Fez in the centre of the Medina. We are located near the fountain of Batha. The hostel is ideally located for those who want to discover the richness of the city. All rooms are nicely decorated with Moroccan style especially the dorms, our guest will be fully immersed in the Moroccan culture. All rooms have comfortable mattresses, with private bathroom, towels and safety boxes are included.